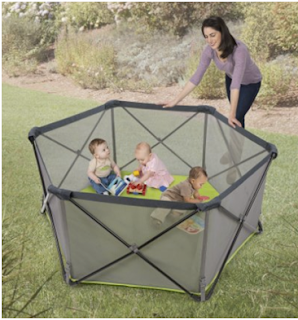 The number one item on your camping gear list is a portable play pen. This acts as a safe enclosure for your baby to play, nap or rest without your supervision. During camps, you will be busy with a lot of stuff such as cooking, chopping wood etc so you need a safe haven for your baby to be in while you work. The play pen also acts as a sort of reassurance for your baby as it feels like a baby crib to them. One of the best top rated play pen is this Summer Infant Pop and Play Pen. Its biggest strength is its portability and ease of set up. You can literally roll the play pen and carry it with you anywhere. Setting up is also a breeze so it is perfect for a camping trip where you can placed it inside the tent or under a tree. However, there is one drawback which is the lack of cushioning for the bottom layer. It is not a big problem if you placed it on the sand, grass or in a tent but in places such as swimming pools, the floor might be too hard and wet for the babies to be comfortable. If your camping trip do not involve swimming pools or hard areas, this should be fine. In terms of the materials, the play pen is made of mesh which is perfect as it is cooling in the hot summer days. There is even a net that can protect your babies from mosquitos and such. 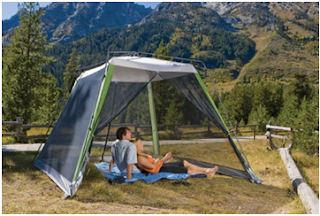 Overall, it is a great play pen and one that I encourage you to bring as an essential camping gear for your baby. A baby or mei tai carrier has always been an essential gear for any trips, not just for camping. 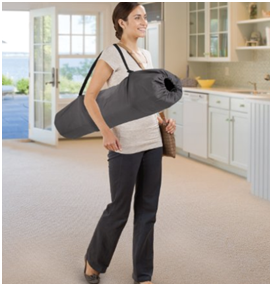 Without it, it will be difficult to carry your baby around for your hikes or doing camp chores. I think most families should already have this in their homes and if you don’t have one for some reason, here is one of the best mei tai carrier for 2015 as reviewed on Amazon. 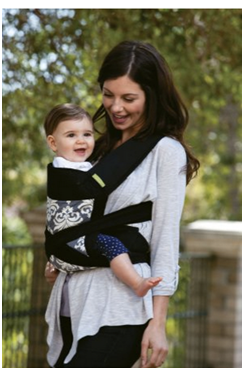 The Infantino Sash Mei Tai Carrier is stylish and more importantly, it is very secured for your baby. Due to its designs, mommies wouldn’t get tired that easily compared to other baby carriers. It is also easy to put on and very compact when being stored away. Perfect for a camping trip. Now, this is something most of you might not have but is essential to a family camping trip with a baby. It is used as a dry place for you to store things that you do not want to get wet. It can also be used as a place to change diapers and such. The Coleman screen house is perfect for such a use. It is super easy to set up (less than 3 minutes) but provides all the space you need to store things and keep them dry. The sun screen also helps to keep things cool so you wouldn’t be sweating like a cow when you are changing diapers inside the screen house. Do note however, there is no flooring that comes with this model. A good suggestion is to bring along a large mat that can be used as the flooring for the screen house. You probably have this at home so bring it along on your camping trip. This is for the baby to enjoy the surroundings while the adults go about doing the camp chores. Babies can stay in this for hours and be entertained by the going ons around him. An alternative to the Bumbo chair is a portable travel high chair for babies. It achieve the same purpose although it does require more set up than a Bumbo chair. As long as the baby is able view the surroundings comfortably, either of the 2 these two gear will be ok. 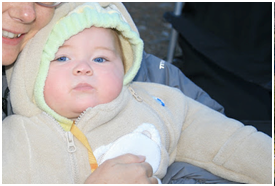 The temperature might go down significantly in the night so a down jacket is essential to keep your baby warm. Some parents might like to use a sleeping bag but babies tend to want to move around so they might not feel comfortable in a sleeping bag for the whole night. A down jacket still allows for some movement so it isn’t that uncomfortable for babies. If you are concerned about the cold, you can always bring a thick blanket along as well as give the baby extra clothing underneath the down jacket.